Year 1 is an important year. Your child will be following the new national curriculum. They will be following the whole school behaviour chart, where your child has an increased responsibility for their behaviour. 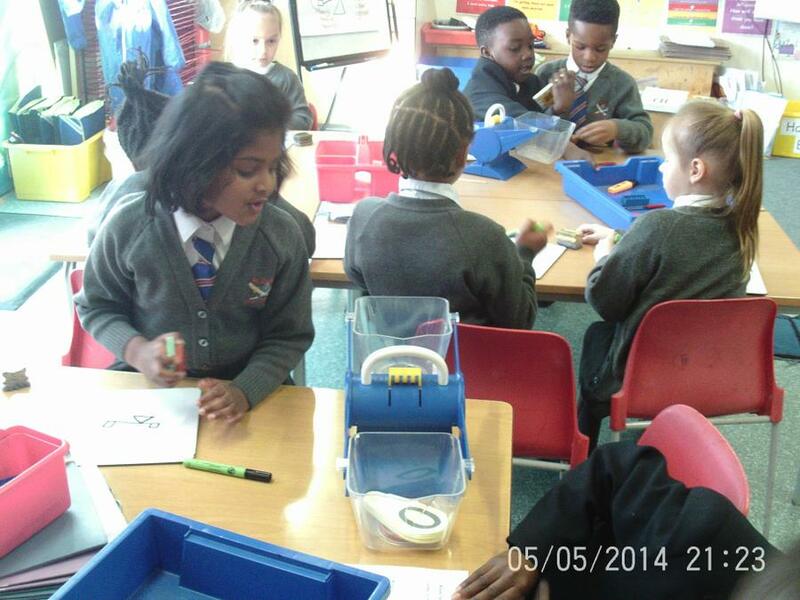 At the end of each lesson your child will be expected to assess their learning using the self assessment charts. Your child will have a mixture of continuous provision (learning activities that the children choose which links to prior learning and our topic) and formal learning during the Autumn Term. From November 2018, all lessons will be taught as a whole class. There will be a continued focus on phonics as in June 2019, your child will take part in the Government Phonic Screening Test. Your child will flourish and become much more independent. RE - Holidays and Holydays - We will be starting our new topic and will be thinking about how holidays are different to other days. Please discuss what happens on holiday with your child and talk about how this is different to other days. English - We will be reading our new story 'The Magic Finger' by Roald Dahl. The children will be discussing the characters and making inferences about them. If you can, please share this story with your child and discuss the characters. Maths- We will be recapping counting in 2s, 5s and 10s and using arrays to solve multiplication number sentences. 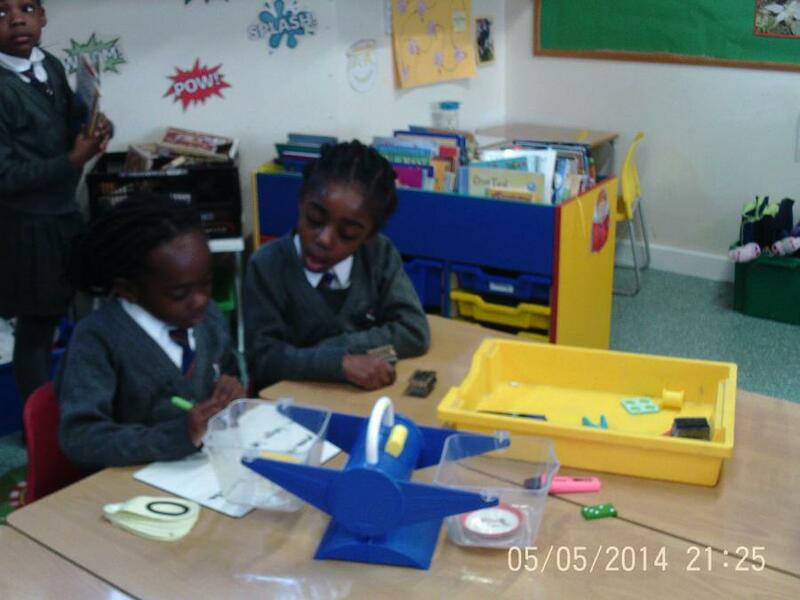 Please help your child by encouraging them to practise counting in 2s, 5s and 10s. They then need to link this to multiplication number sentences. Computing - We will be logging onto the laptops and opening a painting program. PE- Gymnastics - We will be thinking about carrying equipment carefully and ensuring that we have enough space around us to perform actions. We will be travelling on various equipment and linking actions together. Please help your child by discussing ways of travelling across the floor. Science - We will be asking simple questions about trees and plants. Please help your child by discussing what they would like to know about plants and trees. Art - We will be looking at the work of Giuseppe Arcimboldo. Please research this artist with your child and discuss his work. We will be cutting out images of fruit and vegetables to make a picture in the same style as Arcimboldo. Please practise using scissors and cutting paper correctly with your child. History - We will be thinking about stories from the past. Please discuss events that took place in Reception with your child. Reminder - You are invited into class every Thursday between 8.40am and 8.55am to share a story with your child. 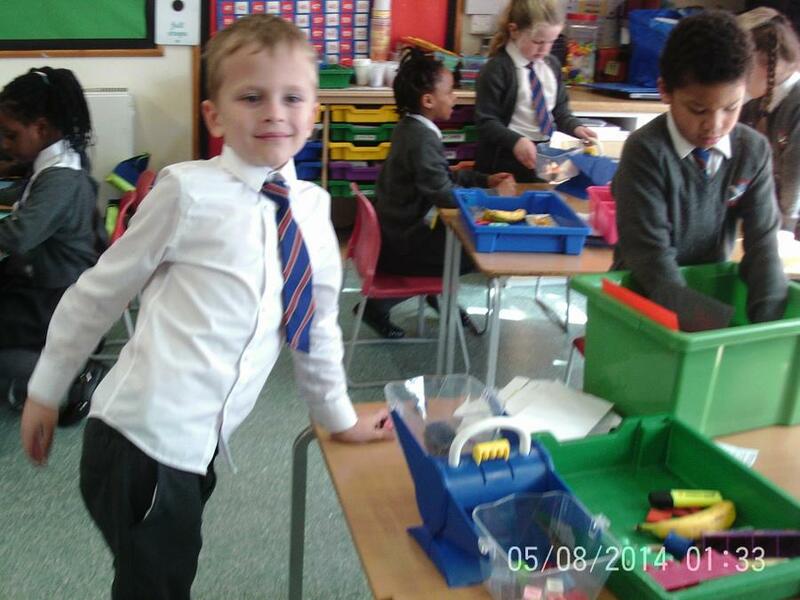 In Maths this week, we have been measuring weight and capacity. 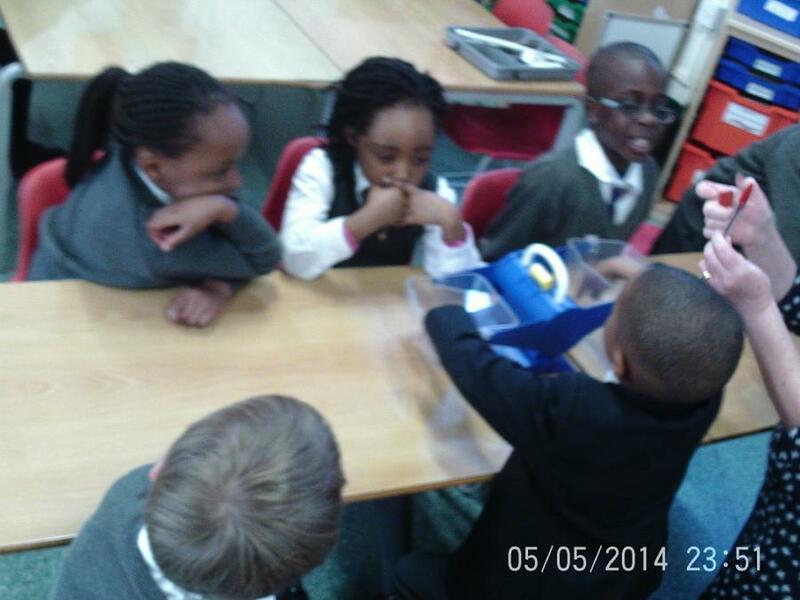 We weight objects and compared them using the words heavier, heaviest, lighter, lightest. 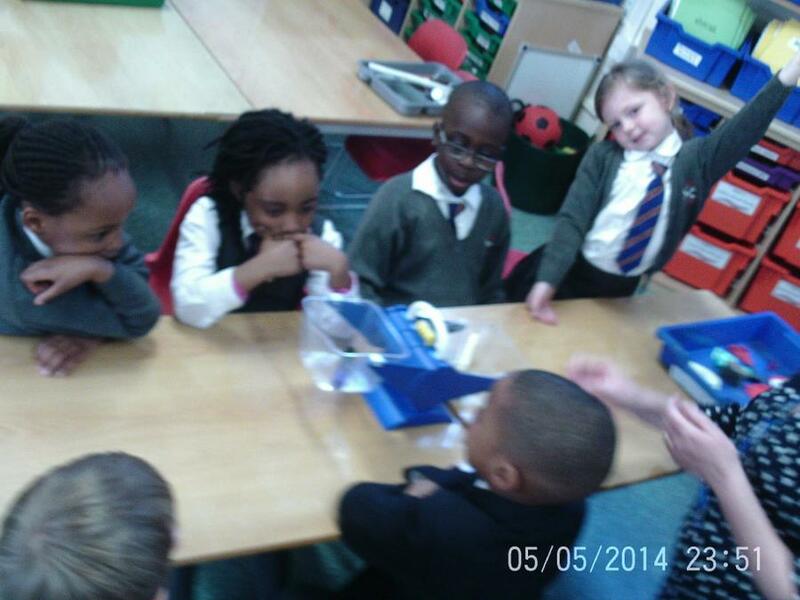 We looked at various containers and discussed how much liquid they had in them. The children in Year 1 enjoyed showing their costumes to their friends. 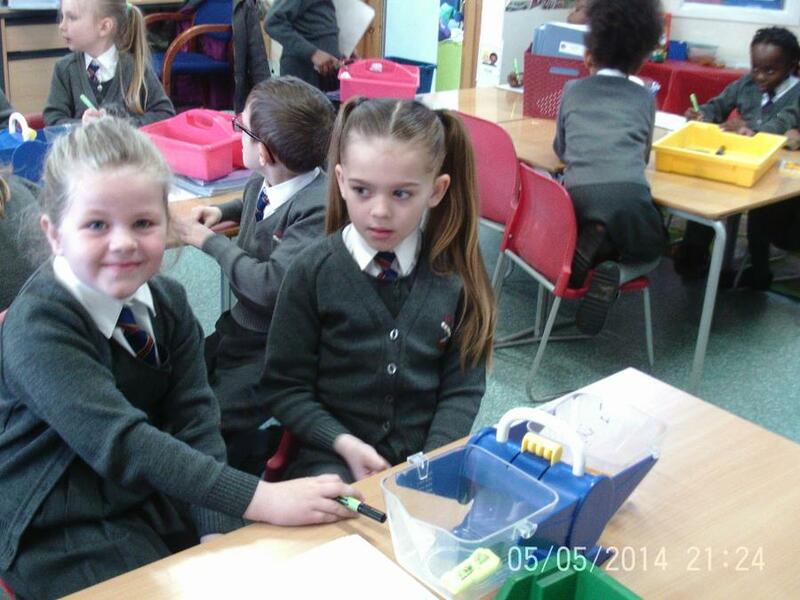 To celebrate World Book Day, the children were able to choose a story to listen to and base some work on. Mrs Bring read 'The Cat in the Hat', Mrs Davies read 'Five Minutes Peace' and Mrs Obende read 'The Tiger that came to tea'. 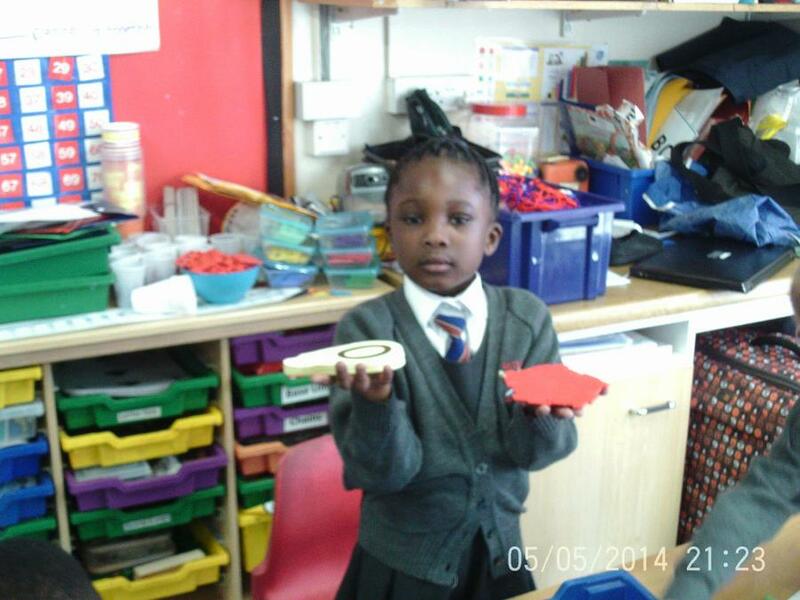 "I enjoyed making my own rhyme similar to 'The Cat in the Hat'. I said 'The Frog on the log." by Ema. "It was fun listening to the story of 'The Tiger that came to Tea'. I made a shopping list just encase a tiger comes to tea at my house." Isabella. "I liked role playing the story. I made my own tea party." Madeline. "I liked it when the elephant was trying to get some peace and quite in the story 'Five minutes peace'. It made me laugh." We were very lucky to have some visitors in school from 'Open the Book'. They told us the story about loving our neighbour and reminded us that Jesus always wants us to show love to our neighbours by doing kind things. 1B class liturgy. Thank you to Mrs Brind and the adults in 1B for helping the children to perform a wonderful Liturgy. A special thank you to the children for an excellent performance, telling us about the story of David and Goliath. Thank you to the parents for helping the children to learn their words. Well done 1B. Read a book, talking about the characters and the events that have taken place. Ask your child to retell the story back to you, using language from the story. When your child is reading, encourage them to find the 'special friends' (two letters that make one sound) and tell you what sound they make. Your child could then complete a book review, explaining why they liked the story. You could use the questions from our reading workshop to help your child with their comprehension of the story. Practise spelling words from the Year 1 Common Exception word list. They could write sentences that included these words. Practise recognising and spelling words from the phonic list that was sent home. Your child should practise all of the sounds on the list, paying particular attention to the highlighted sounds. Ask your child to keep a diary of what they are doing each day. This will help them to practise using full stops and punctuation correctly. This is also an opportunity to practise handwriting with your child. Practise identifying pairs of numbers that total 20. This should include subtraction facts. The children could use a variety of methods to help them, such as drawing a number line or tens frame. Practise counting in 2s, 5s and 10s, linking this to Times Tables. 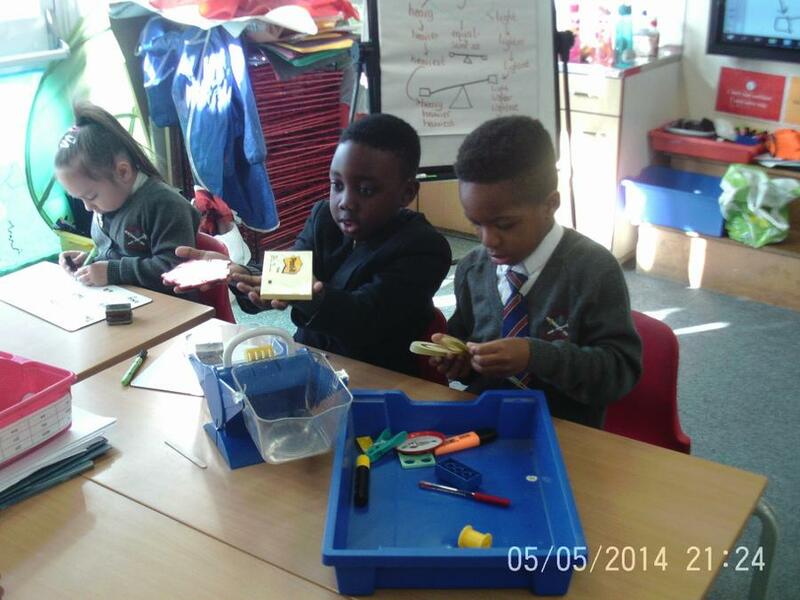 Practise telling the time to the hour and half hour.